This neat little circuit provides 8 LEDs directly driven from the PIC along with a single mode control switch. 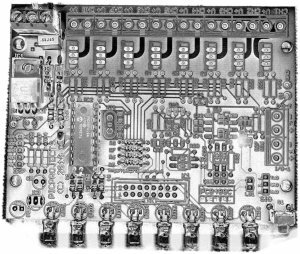 The firmware elsewhere on this page drives the LEDs with a 5 bit PWM signal providing each of the 8 LED channels with four levels of intensity; off, dim, mid, bright. A number of sequences are programmed into the firmware to provide some interesting visual effects and chase sequences, including the classic effect seen on the car in the Knight Rider TV series. The software has sequential, random and manual sequence run modes and manual advance to the next sequence in any mode. The selected sequence and mode are also saved to non-volatile memory so it will always restart in the selected mode. 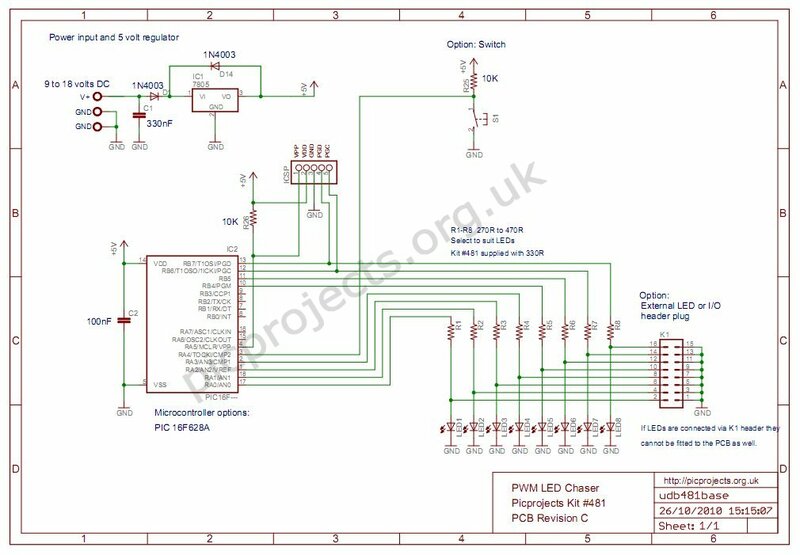 The design is deliberately simple with each LED being directly driven from a PIC I/O pin. 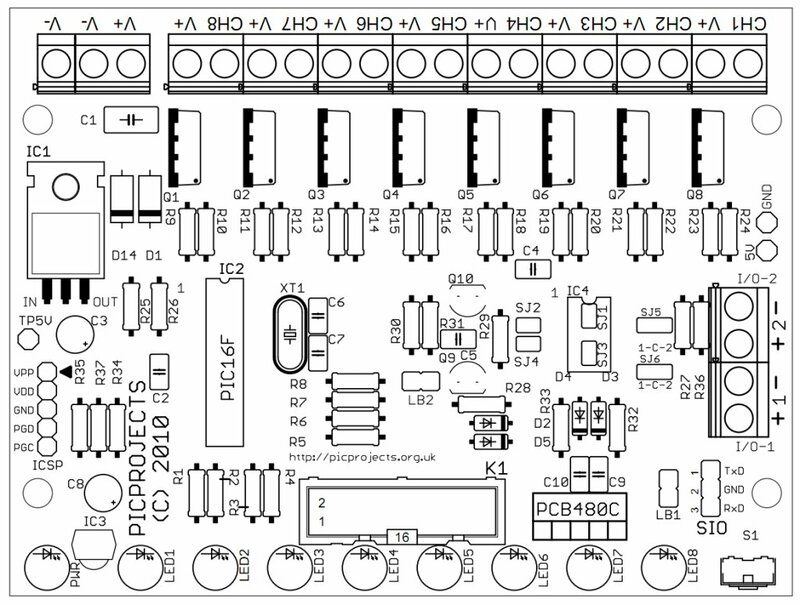 This and the inclusion of an in-circuit programming header (ICSP) make the circuit ideal for teaching/learning introductory PIC assembly language programming. However, if you just want a cool LED chaser without having to write any code, a ready written LED chaser program including 34 chase effects with source code and programmer ready HEX files is provided at the bottom of this page. 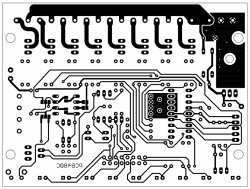 The circuit has been constructed on a PCB but can easily be built on strip-board or a solderless breadboard. The heart of the LED chaser is the PIC 16F628A microcontroller, IC2. The program that runs on this chip controls the LEDs attached to the output port pins. Resistors R1 thru R8 limit the current through LED1 - LED8 to a safe level that won't damage the PICs I/O ports or LEDs. 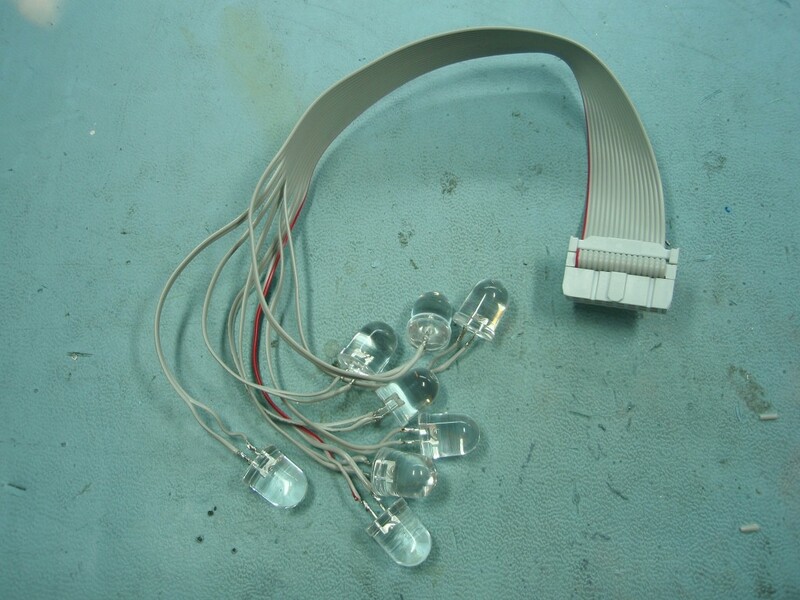 The LEDs can either be mounted on the PCB or via header plug K1 and a ribbon cable which permits the LEDs to be mounted in a different arrangement, location etc. If the LEDs are connected via the K1 header, don't install LEDs on the PCB, it's either or but not both. Resistor R25 provides a pull-up for the input connected to switch S1. R26 pulls up the PIC's MCLR reset signal during normal operation while allowing the input to be raised to 12.5 volts during in-circuit programming. 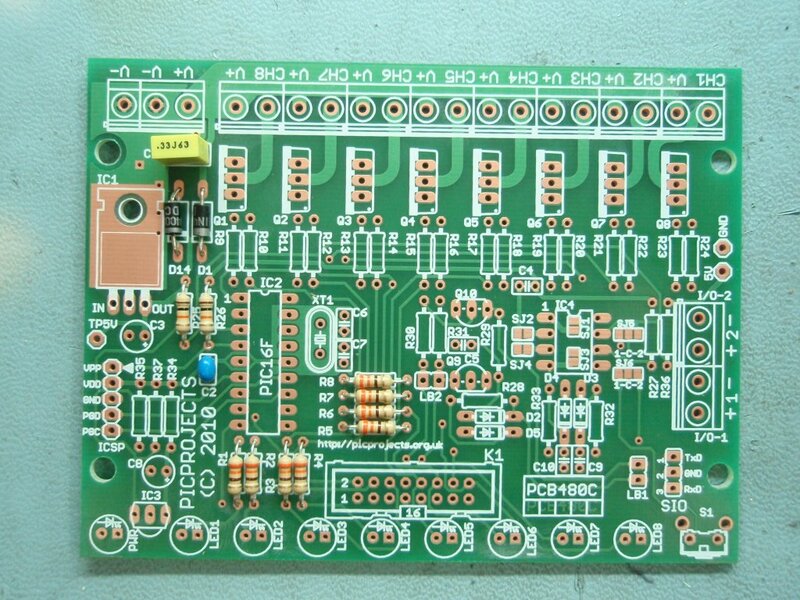 The ICSP header provides connection for an ICSP programmer such as a PICkit2 making it easy to reprogram the PIC without removing it from the PCB. 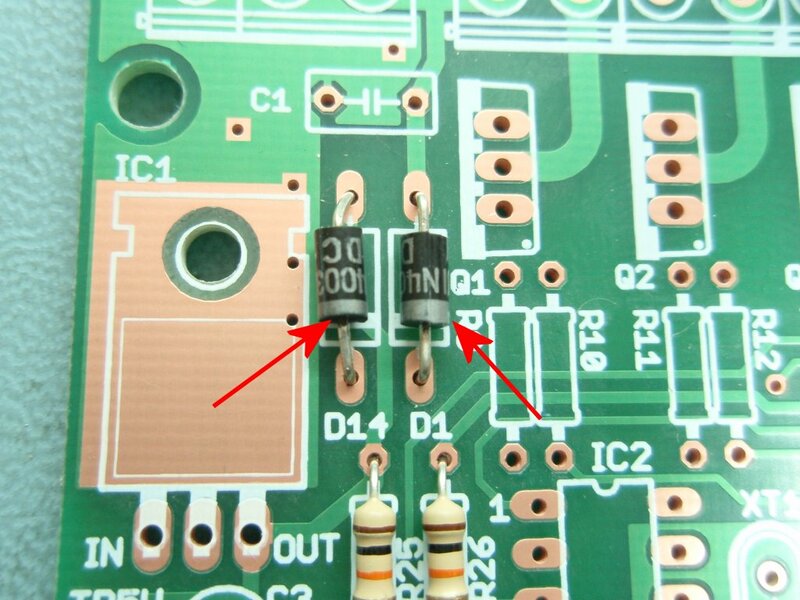 Capacitor C2 is used to decouple the 5 volt power supply to the PIC. If you're building the circuit on a breadboard or stripboard you should ensure it is located close to the PICs Vdd connection (pin 14 ). If you install LEDs that require a lower value series resistor you may find you are unable to program the PIC in-circuit via the ICSP header. This is because the I/O port pins on the PIC that are used for In-Circuit Serial Programming are shared with the LEDs. The programmer may be unable to drive these lines when lower value resistor are used. With the 330R resistors and PICKit2 programmer, In-Circuit programming should work without problems. The ICSP header allows programming of the PIC while installed in the circuit. It is only required if you intend to connect a programmer to modify the sequences or code. It is not supplied with the kit but is available as an option. Diodes D1 and D14 are shown as 1N4003. Any 1N400x series diode can be used here. 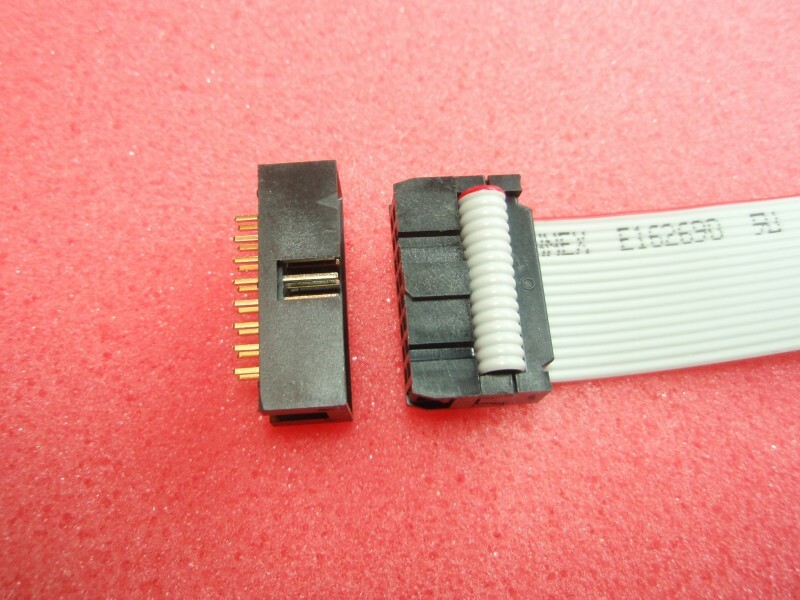 S1 is a 6mm right angle tactile switch, Omron B3F series. IC1 is a 7805, 5 volt, 1 amp regulator IC. 3-way terminal block is 5.08mm pitch but a 5mm part will also fit. The PIC16F628A needs to be programmed with the correct firmware (see firmware section). If you bought the kit this code is already programmed into it. Resistors are all 1/4 watt, 5% carbon film type. Standard parts are used in this project and should be easy to source from distributors world wide. The circuit requires a 9 to 18 volt DC power supply. The board draws under 100mA during normal operation. Power supplies rated for 250mA or greater with an output voltage in the ranged 9-18 volts DC should be suitable for use with the project. 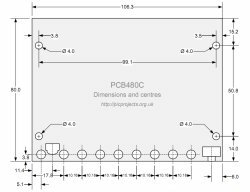 The PCB is available to buy from the Picprojects online store. 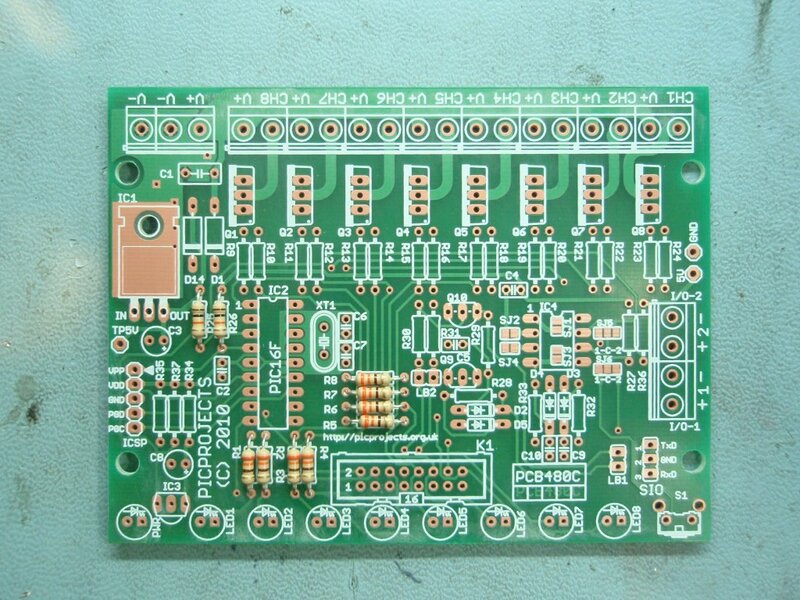 This a quality double sided, thru-plated board with solder masks and component overlay on FR4 board with RoHS compliant OSP finish to the copper. 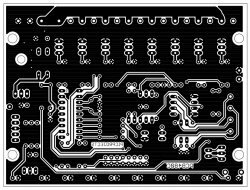 The artwork is provided if you want to etch your own board, however it is a double sided board and unless you can thru-plate the holes it will be difficult to solder both sides of some components such as the terminal blocks. Illustrated guide to assembling the kit. Please read through the whole of this section before starting assembly and refer back to it during assembly. Step 1. Install the resistors. The coloured bands denote the resistance value as shown below. Fit the resistors into the correct location on the PCB. It doesn't matter which way round they are oriented. Step 2. Fit the two 1N4003 diodes. These have a silver band at one end of the body and must be fitted the correct way round as shown. Step 4. Install the socket for IC2. Note that it has a small indent at one end, you should fit the socket with indent at the end arrowed in the photo. Also install S1, the 7805 regulator IC1, and the 3-way terminal block. If you intend to mount the LEDs off the PCB you can fit a 16 pin header plug in position K1 on the PCB. 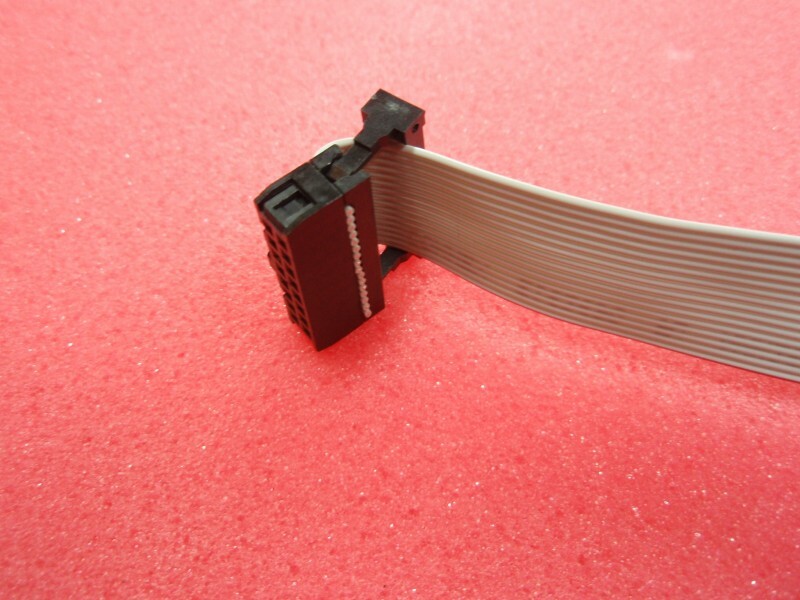 This can be used with an IDC connector and ribbon cable to attach the LEDs. This allows the cable to be unplugged making assembly easier and allowing different cable/LED combinations to be swapped easily. Step 6. 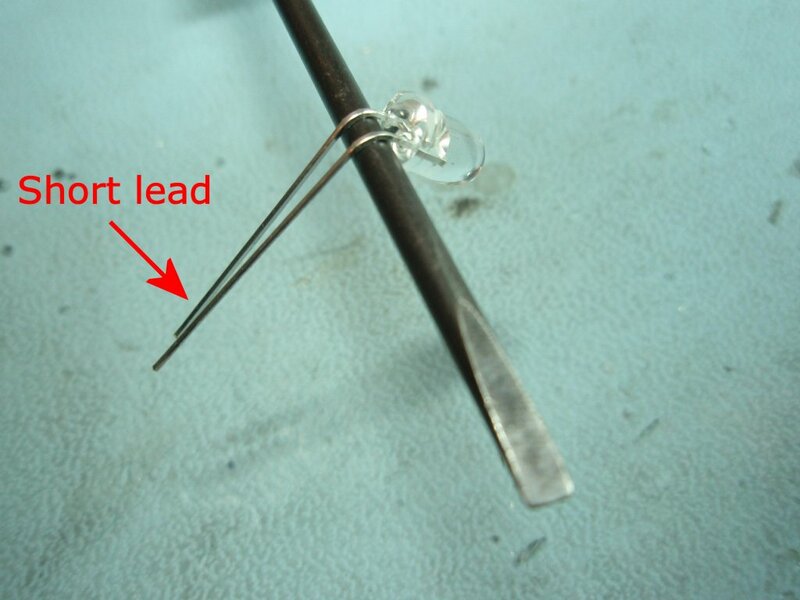 When fitting the LEDs to the PCB use a thin screwdriver to bend the leads of the LED around through 90o in a curve. One lead of the LED is shorter than the other. This indicates the Cathode terminal of the LED. 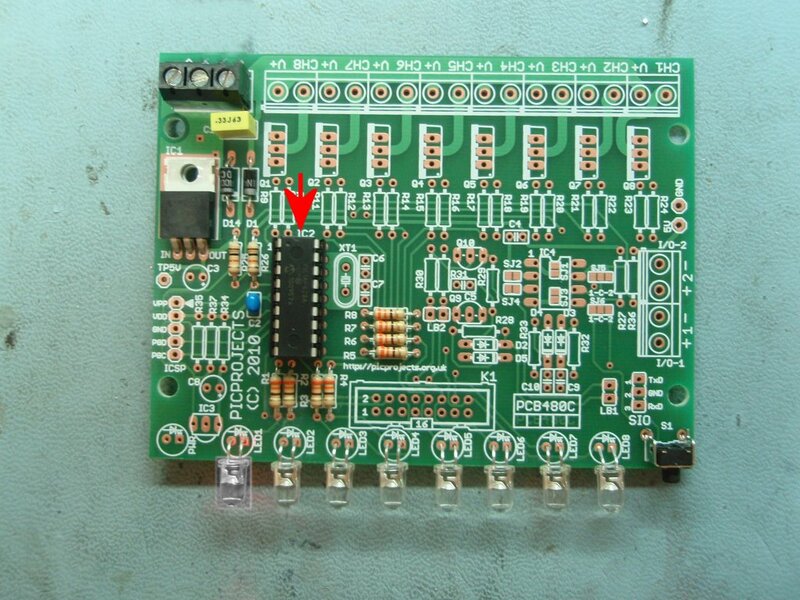 Ensure it is positioned as shown otherwise it will be in the wrong position to fit the PCB. Step 7. 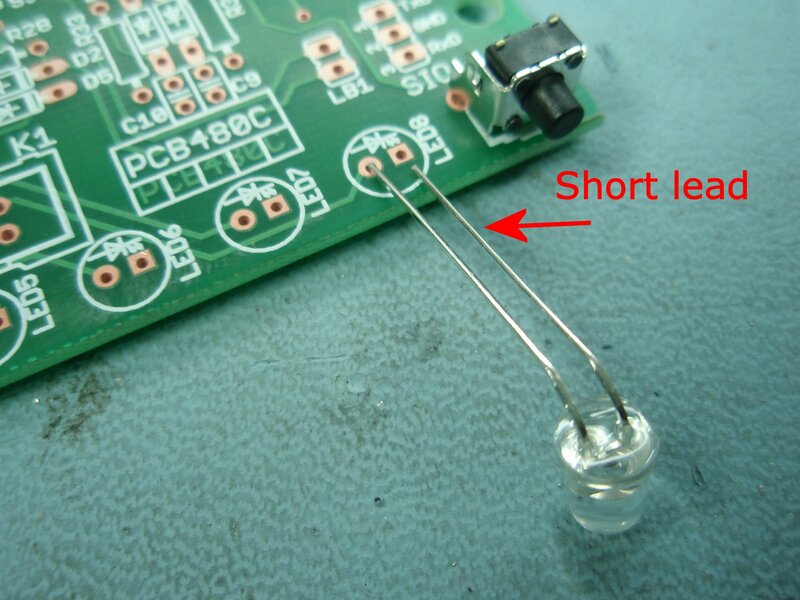 Fit the LEDs to the PCB with the short lead of each LED to the hole of the square PCB pad. Step 8. 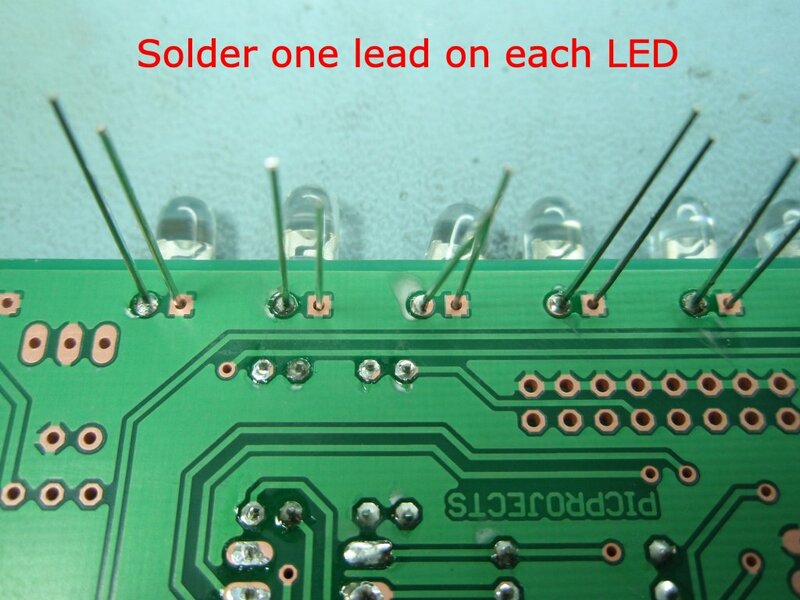 Initially only solder one lead of each LED as shown. Step 9. Align the LEDs so they are evenly spaced and when viewed horizontally form a neat line. 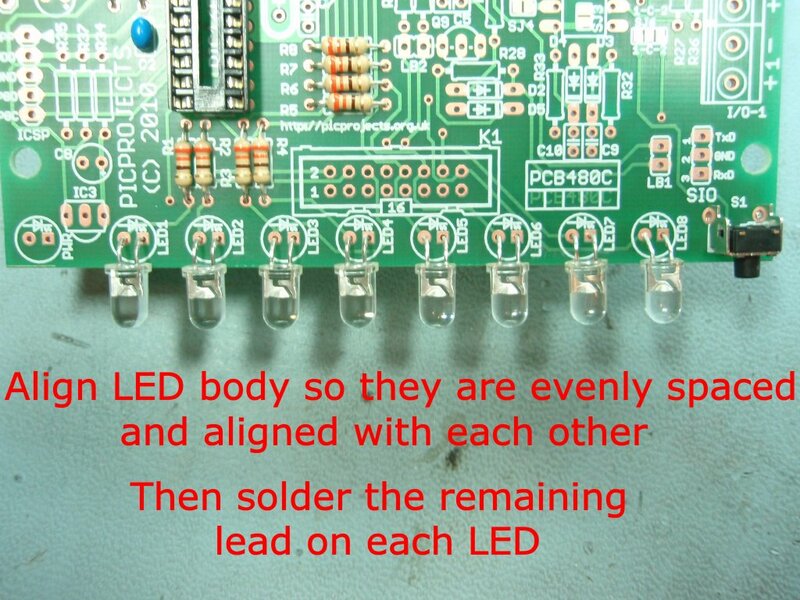 Once you have then aligned solder the remaining leads of each LED. At this point in the assembly. 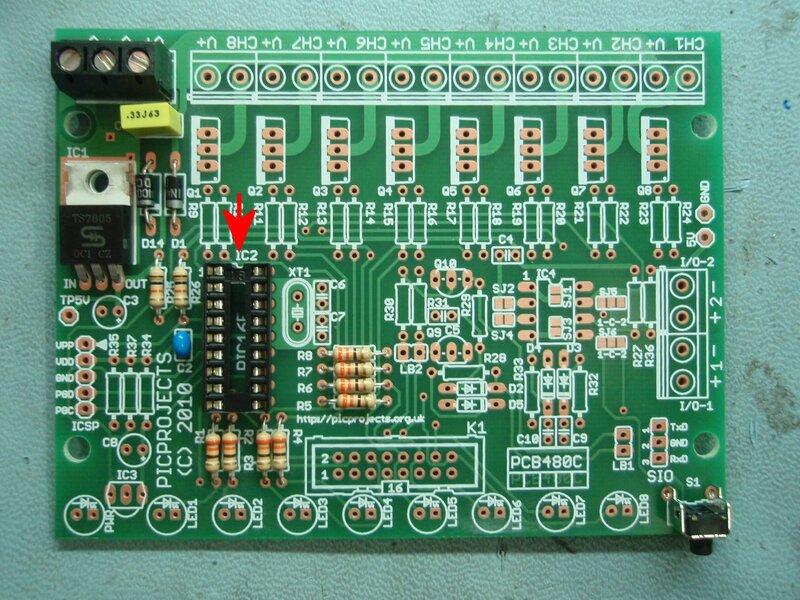 Check the PCB to make sure solder joints are neat and there are no solder bridges between pins. Make sure all excess component leads have been neatly trimmed. 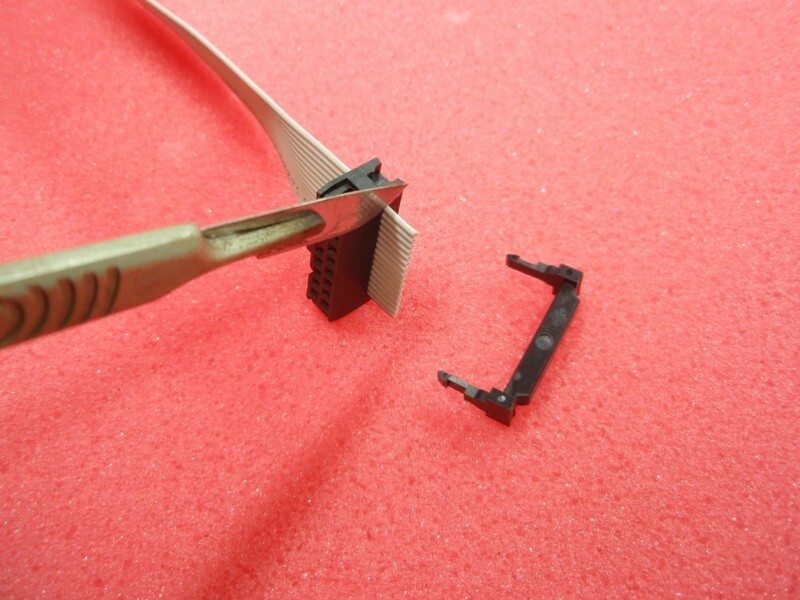 Clear the work area of any component lead off-cuts, solder splashes etc. Step 10. Apply power to the board. This should be 9-18 volts DC. Connect the positive power lead to V+ on the 3-way terminal block. Connect the negative or ground lead to either of the V- connections on the 3-way terminal block. If the voltage is NOT within the acceptable range you must resolve the cause before continuing. Do not insert or remove the IC2 when power is applied to the board. Step 11. Disconnect the power from the board. Now you can fit the PIC microcontroller into the IC2 socket. You will see a small dot and indent at one end of the body. This should be fitted so it is towards the end arrowed in the photo. Step 12. Reconnect power and turn on, the LEDs should now start to run the sequencer patterns. Press and hold S1 to enter setup mode. Press S1 to cycle through the 3 modes. Press and hold S1 to exit setup mode. If everything is working correctly, you're all done. The program has three modes of operation. Manual mode will run the same sequence continually. When the switch is pressed it will skip to the next sequence in program memory. 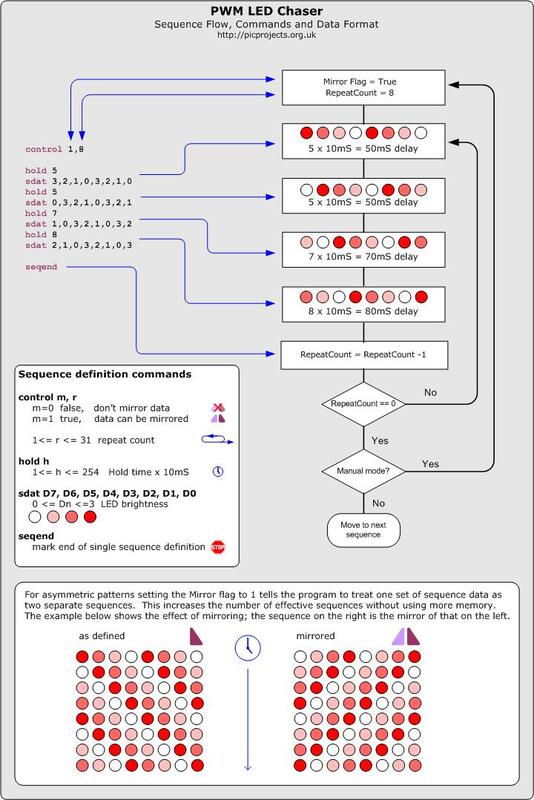 In auto-sequential mode, the program runs through each sequence in program memory until it reaches the end of all defined sequences at which point it restarts from the first one. In random mode the program selects sequences randomly. When the code is running in any mode, a short press of the switch will make the controller skip to the next sequence. To enter setup mode, press and hold the switch. Once it enters setup mode one of three LEDs will light indicating the current run mode. 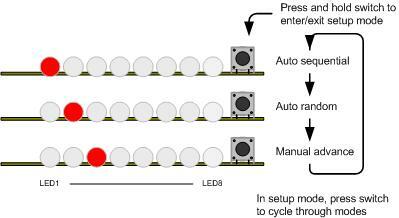 A short press of the switch cycles through the three modes. When the desired run mode has been selected, press and hold the switch to exit setup and return to run mode. The current mode and selected sequence are automatically saved to the PICs internal non-volatile EEPROM memory 10 seconds after the last switch press. When the LED chaser is next powered up it will load and start running using the saved mode and sequence. The data used to create the sequences is held in a separate include file. You can add, remove or edit this data to create your own chaser sequences. If you download the source code and look at the file named pro418v3_SeqData.inc you can see the data used in the project. You might want to edit this file as a starting point to create some sequences of your own. In manual mode, when the repeat count reaches zero it will restart the same sequence, to advance to the next sequence press the switch. In Random mode it will the select a random sequence number to run. If the Mirror flag is true for that sequence it will also randomly choose to mirror the data or not. In auto-sequential mode if the Mirror flag is true it will run the sequence and then repeat it with the data mirrored. 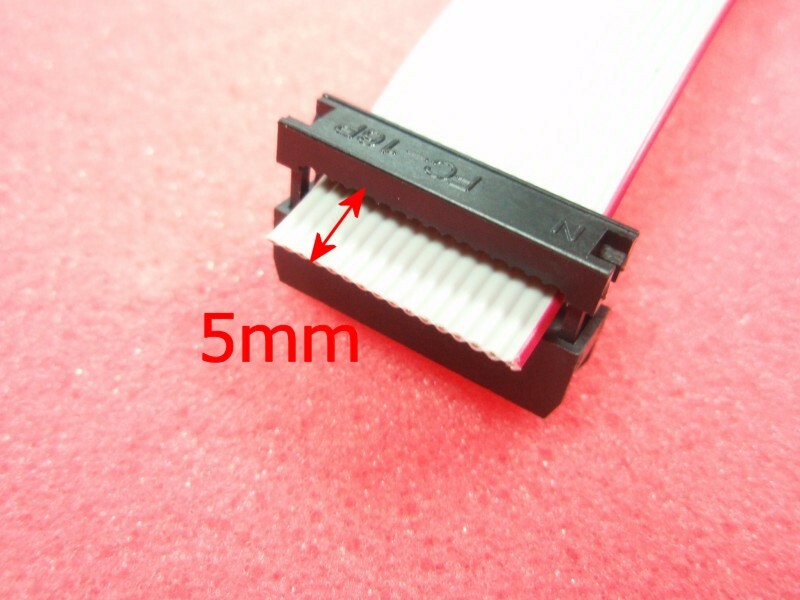 Instead of mounting the LEDs on the PCB, the K1 header plug allows a 16-way IDC socket and ribbon cable to be assembled with LEDs as shown in photo 2. The plug/socket makes it easy to disconnect the cable from the board for assembly into a project, or enabling different cable/LED assemblies to be used with one board. 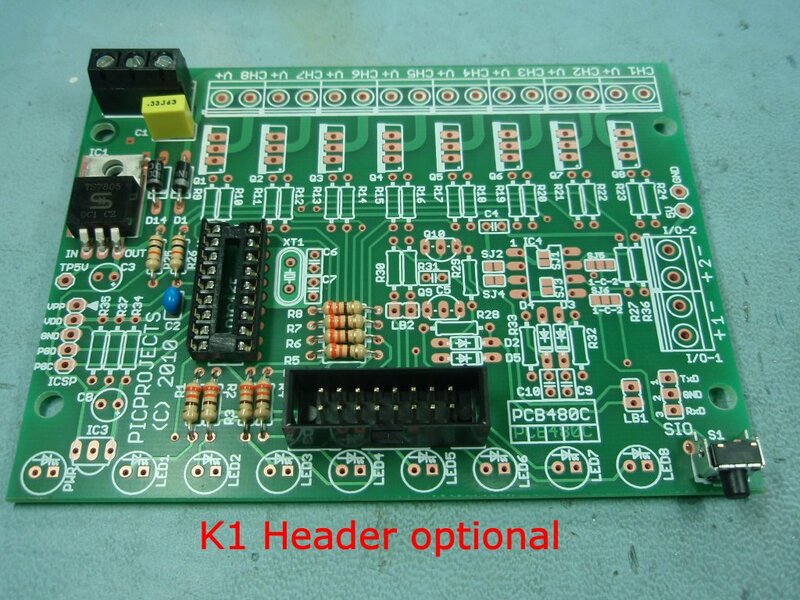 If you are going to use the K1 header to connect LEDs using an Octopus cable you must not install LEDs on the main PCB as well. Photo 2 shows a cable made up with 10mm blue LEDs and Photo 3 shows the board and LEDs operating. Photo 1. 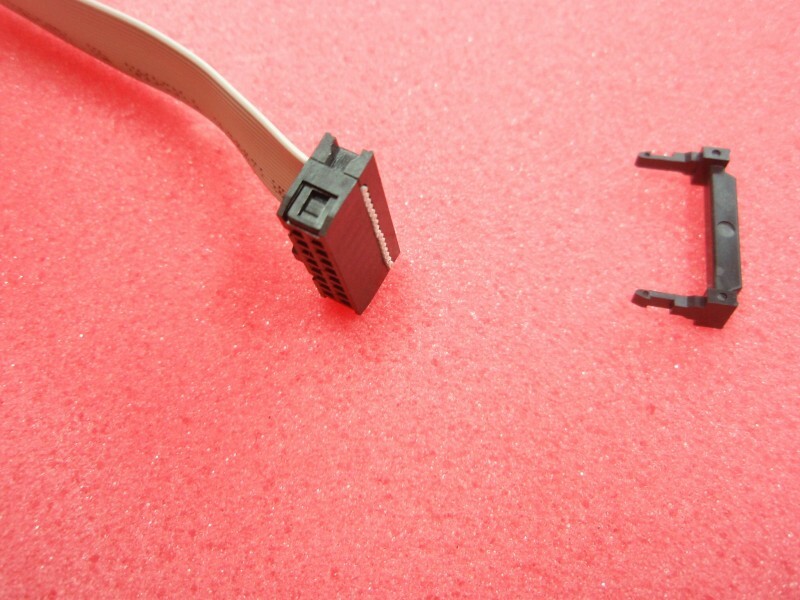 Insert the cable into the IDC header socket as shown. Allow 5mm of cable through the header. Photo 3. Place the header and cable in a vice as shown. Make sure the cable remains parallel with the connector assembly. Photo 4. Tighten the vice until the two halves of the header come together. DO NOT CRUSH IT. We're just using the vice to apply even pressure. Once the connector halves meet the assembly is complete. 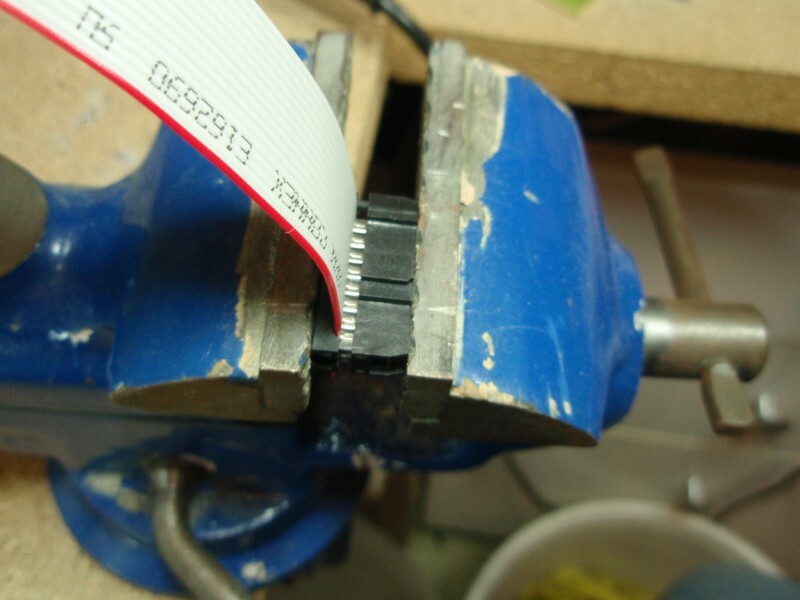 Giving it an extra turn of the vice will only damage the plastic header. 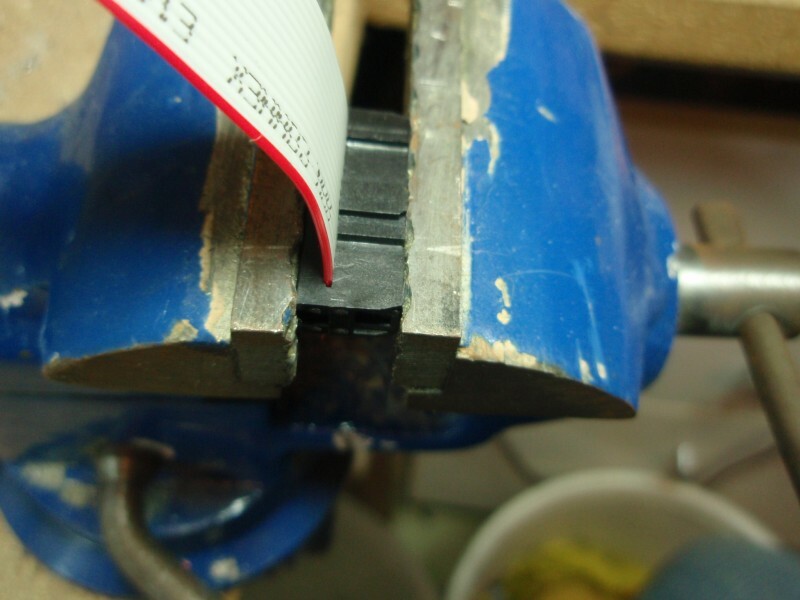 If you haven't got a vice you can still clamp it by pressing it together under a piece of wood, I've also done it by shutting it in a door jam! The important thing is to apply even pressure across the whole width of the header. Photo 5 + 6. Take a sharp knife and trim the excess 5mm of cable. Photo 7. Pull the cable back over the top of the connector and fit the strain relief clamp. Photo 9. The header and cable are now complete. The header fits in to the PCB socket and is keyed to ensure it is fitted the correct way round. 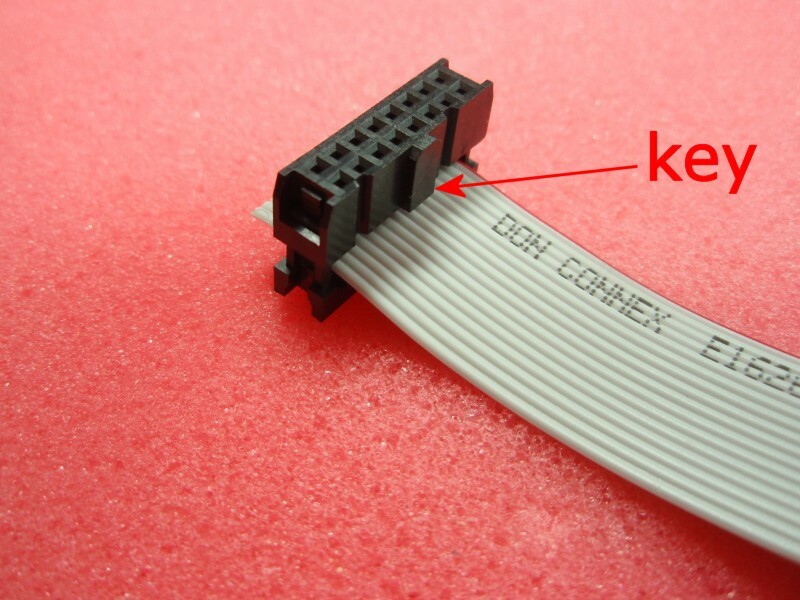 If you have assembled the cable to the socket as shown above then the red wire on the cable connects to header pin 1, the next wire in connects to pin 2 and so on. The PIC microcontroller requires programming with the firmware which you can download below. The HEX files are ready to program straight into the respective PIC chip. The latest code version 2.0.7 supports the PIC 16F628/628A. HEX file ready to program into the PIC. If you need a PIC Programmer I strongly recommend the Microchip PICKit 2, this is available from suppliers world wide or direct from Microchip. It's reasonably cheap to buy and reliable. I have a couple of them and I wouldn't use anything else now. Can you or how can I make it run more than 8 LEDs? 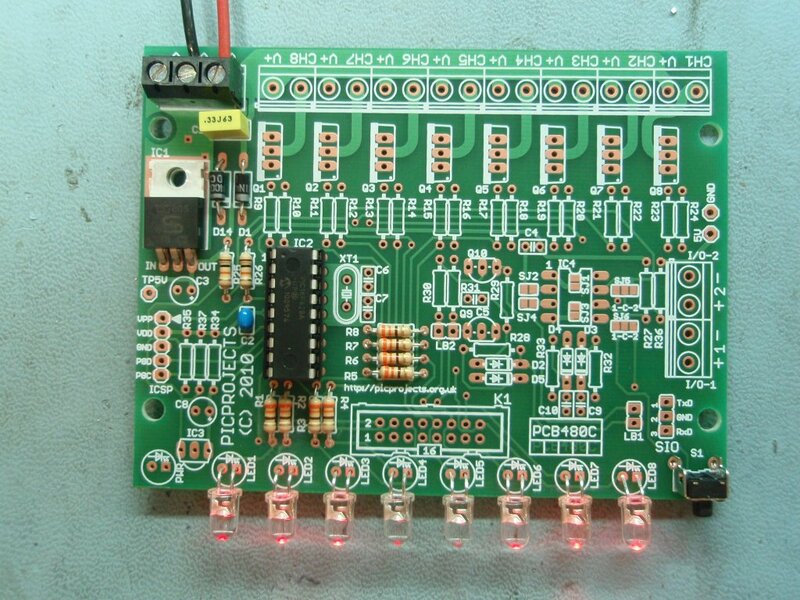 The project is an 8 LED Chaser and the firmware was written to work as an 8 LED chaser. There is no quick and easy change to make it a 9, 12 or some other number of LED chaser. If you need a chaser with more LEDs then this project is not suitable for your needs. How can I add more LEDs to each channel? 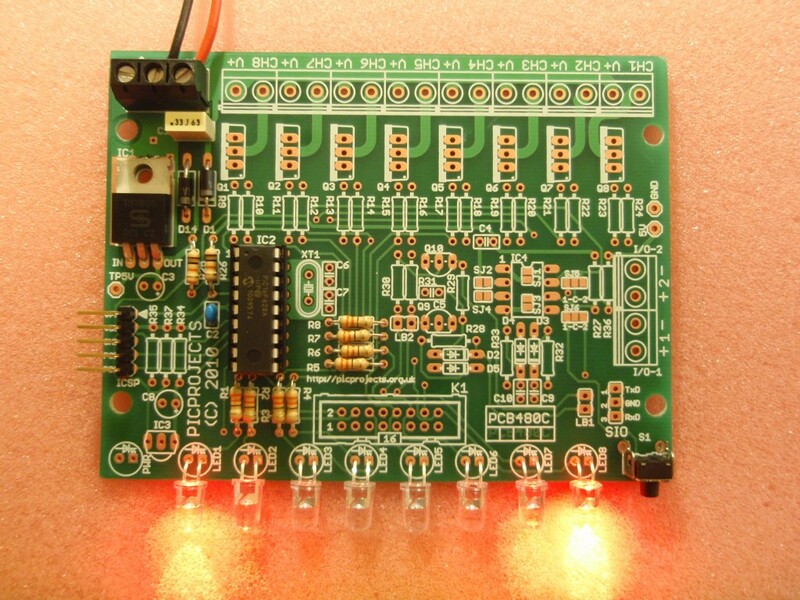 The basic LED chaser on this page only works with single LEDs. 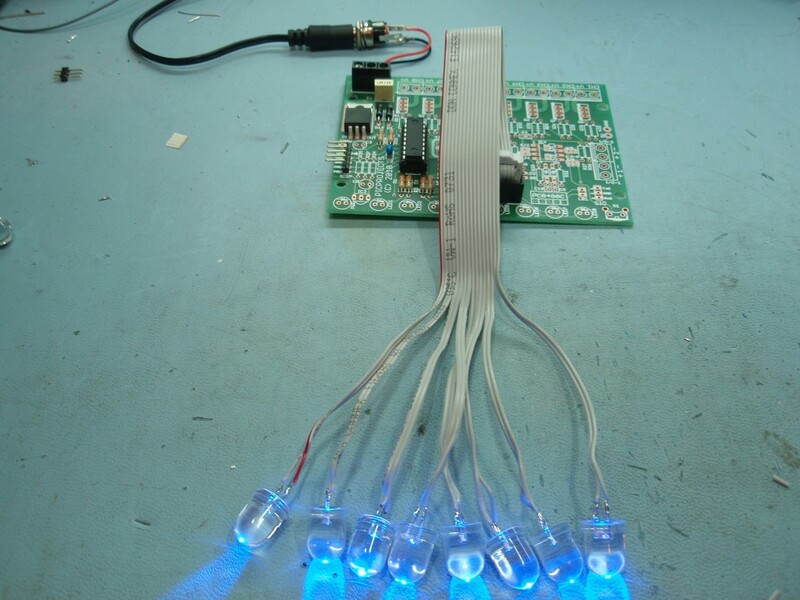 If you need more LEDs on each channel take a look at the PWM Power LED Chaser project. Will it work with 3mm LEDs? Yes, 3mm LEDs will work as will 8mm and 10mm LEDs. 3mm LEDs can be mounted on the PCB, 8mm and 10mm LEDs would need to be connected by flying leads. Can I use less than 8 LEDs? Yes, since the sequences are user definable you can create sequences that use less than 8 LEDs. I only want it to run one sequence, can it do that? Since the current mode and selected sequence are saved to NVRAM, it always powers up in the last mode and running the last sequence. Therefore if you select manual mode and the sequence required, it will run only that sequence until you change it. Do the LEDs have to be the same colour? No they don't. If you want you can mix different coloured LEDs. You can also mix 3mm/5mm/8mm/10mm LEDs if you want too. Can you add a button or potentiometer to change the speed? Can it run from a 12volt car battery? Yes, should work fine from a car battery. 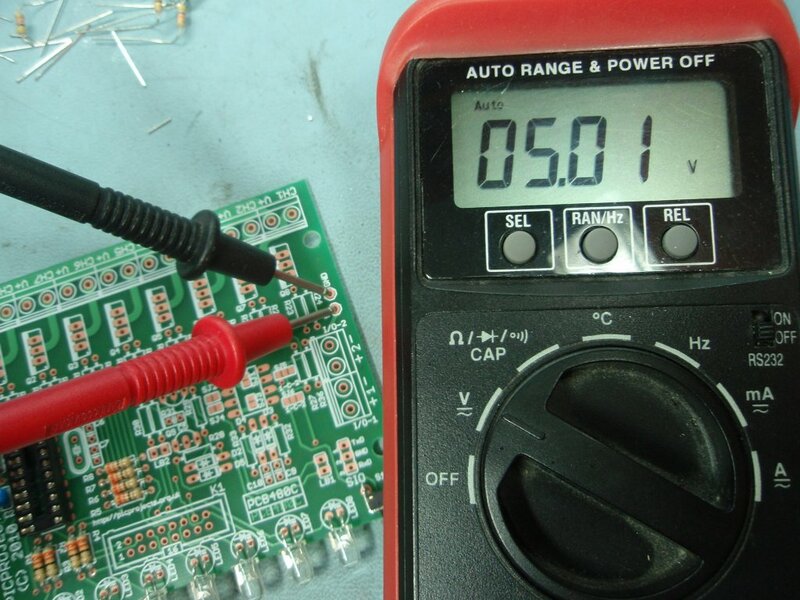 We suggest you include an in-line fuse of 500mA in series with the power lead to the board. Can you modify the code to run on a PIC type xyz? If you want to modify the source code it could be made to run on other PIC types, however we won't modify the code.